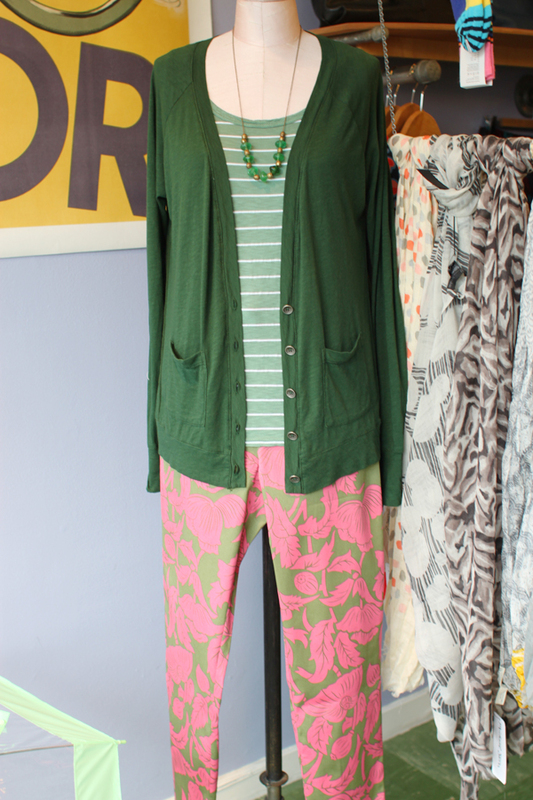 DEMA: in our window: party pants! We're digging our new Party Pants in this preppy meets psychedelic print. 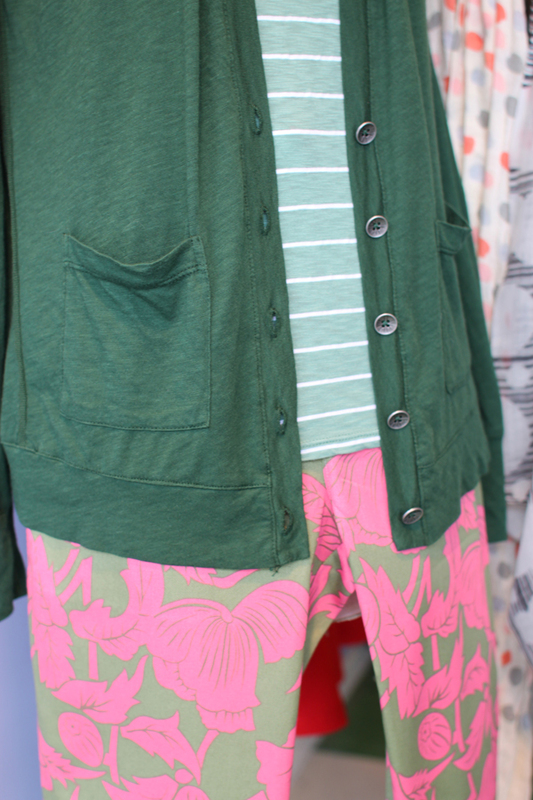 Bring them back down to earth with a simple striped tank top and cozy a-line cardigan from Michael Stars. Comfortable but still incredibly stylish with that DEMA flair! 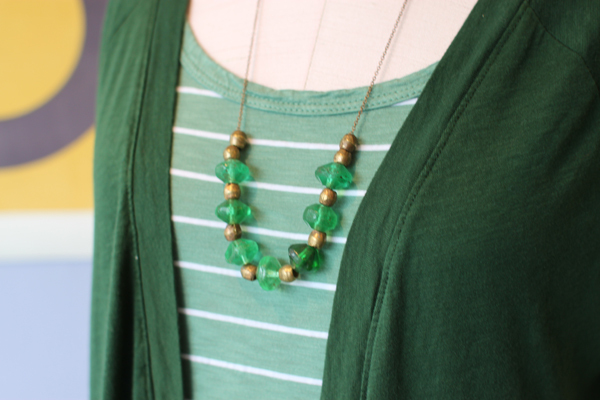 Love that mint striped shirt! On my "to buy when I get paid" list.